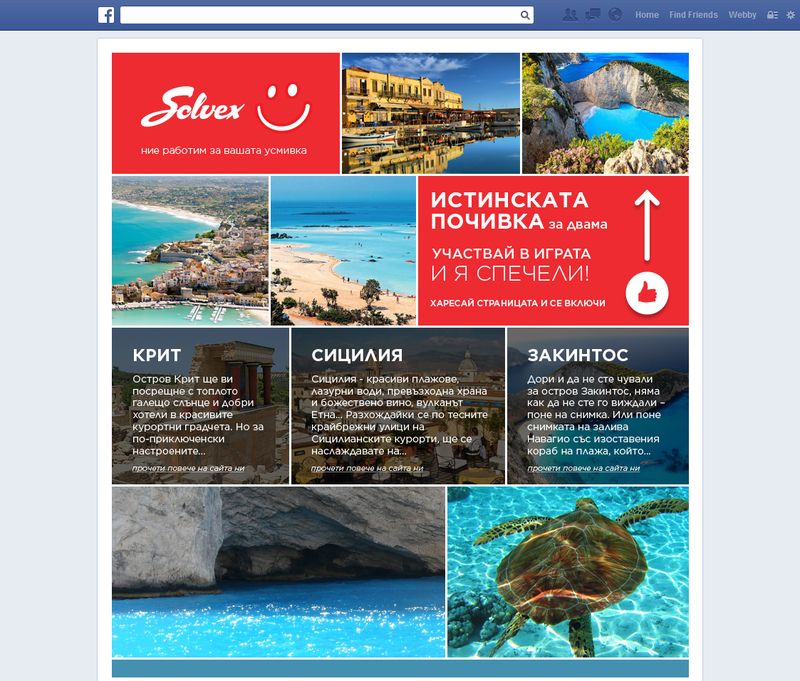 Design and development of a Facebook application for the travel agency Solvex – The real vacation with Solvex. Facebook users had to choose between two offers every week in order to participate in the game. 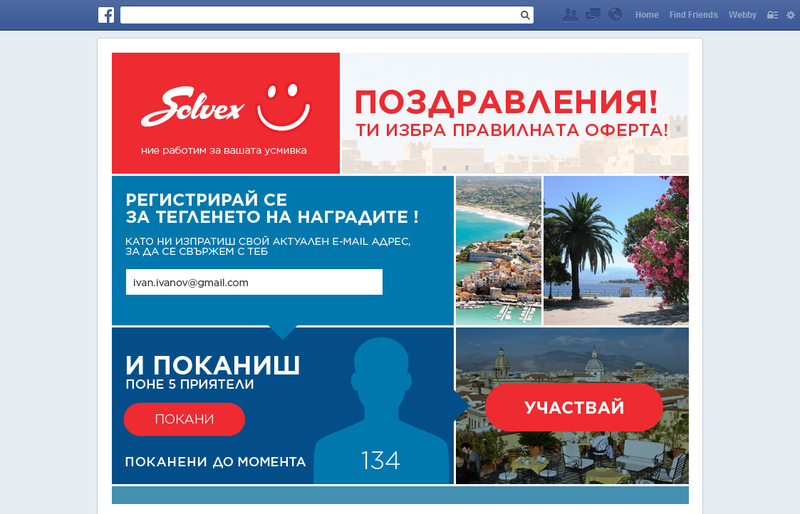 Additionally, users had to like the Facebook page of Solvex. This led to significant increase in the number of fans of Solvex Facebook page. 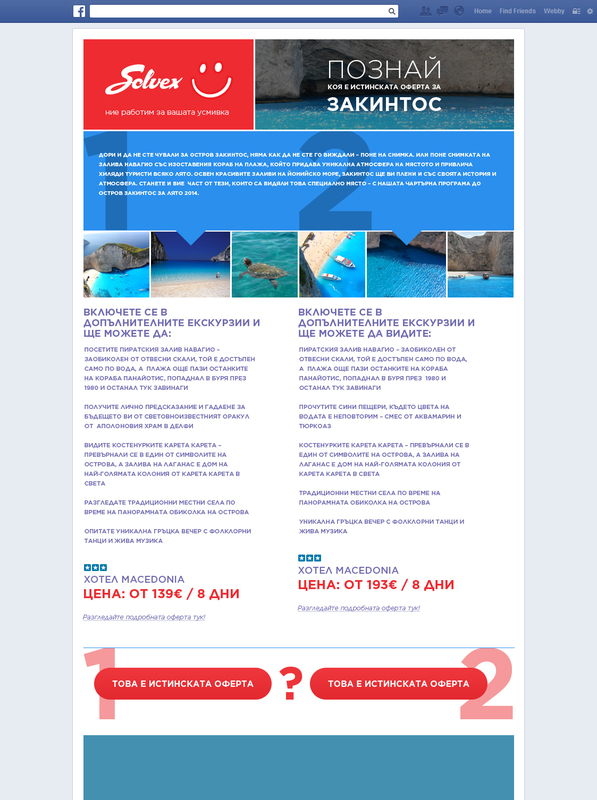 The app was supported with Facebook ads and was part of the campaign Early Bookings 2014.